Version 1.09 includes built-in options to record fusion information from manually-operated machines. 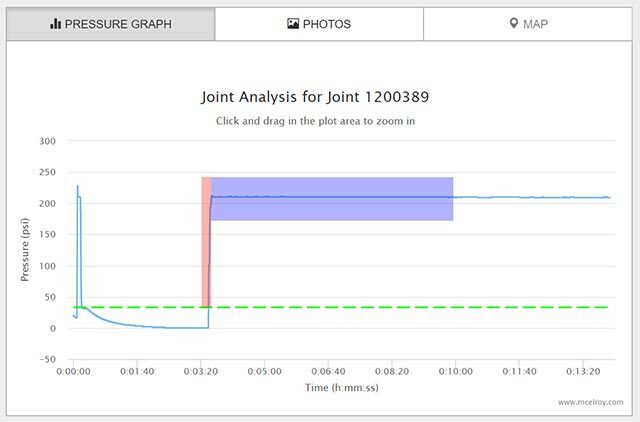 Pipe fusion operators can easily gather important key elements that add to tracking and traceability efforts including operator, equipment, material, location, pictures, notes and fusion standards. A new FusionGuide™ display makes it easier to interpret drag pressure. This pressure along with bead size recognized by the operator is the key to the correct heat soak. Users have the ability to zoom into multiple portions of the graph which makes it easier to confirm that the fusion was done properly during each stage of the process. The DataLogger 6 can now capture weather conditions in the field which can affect the fusion process. The operator can easily input ambient temperature, pipe temperatures and basic weather conditions. Also included is the ability to retrieve joint reports that are stored in the McElroy Vault™ no matter which specific DataLogger device uploaded them to the account. 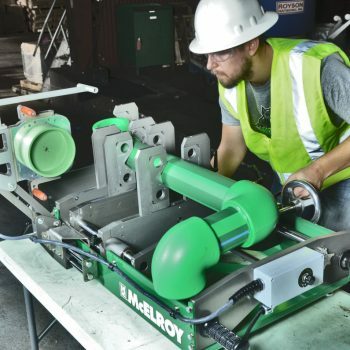 This gives users the flexibility to keep one device on the machine doing the work and a second to capture as-built notes, pictures and coordinates when pipe is pulled into place. 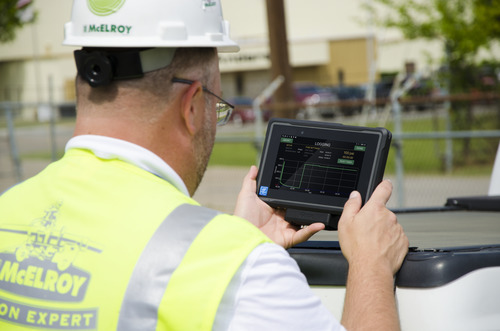 More information is available at McElroy.com/datalogger.